This is all good news. 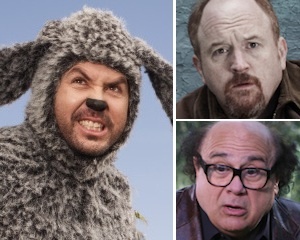 These three shows have so much comic gold in them, that I have no doubt they will last another five years or longer. Much congratulations to these three shows. This entry was posted on Monday, August 8th, 2011 at 11:34 am	and is filed under Film, News. You can follow any responses to this entry through the RSS 2.0 feed. You can skip to the end and leave a response. Pinging is currently not allowed. I loooooove Wilfred, I’m going as him for Halloween. Don’t judge me!